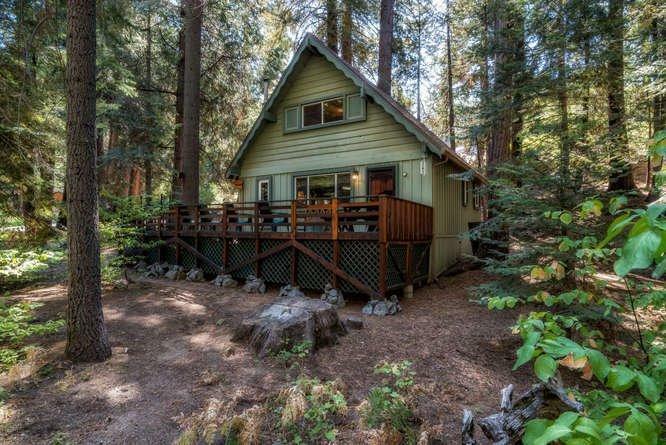 Welcome to this darling cabin nestled on one of the most beautiful lots in Shaver Lake. 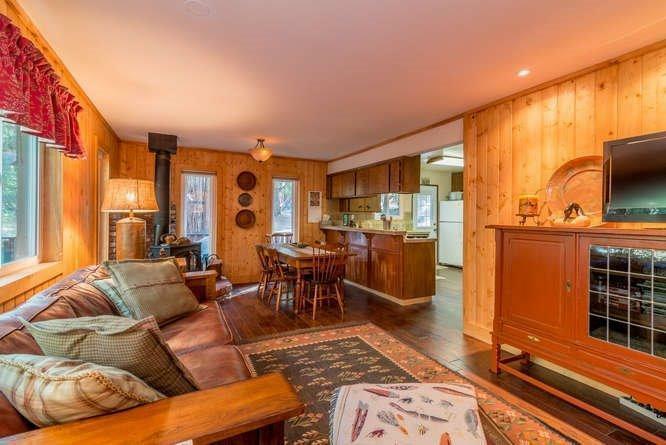 Surrounded by towering pines, cedars and lush native vegetation including dogwood, fern, and even a seasonal creek, this 3bed/2bath cabin captures the true feel of a 'cabin in the woods'. 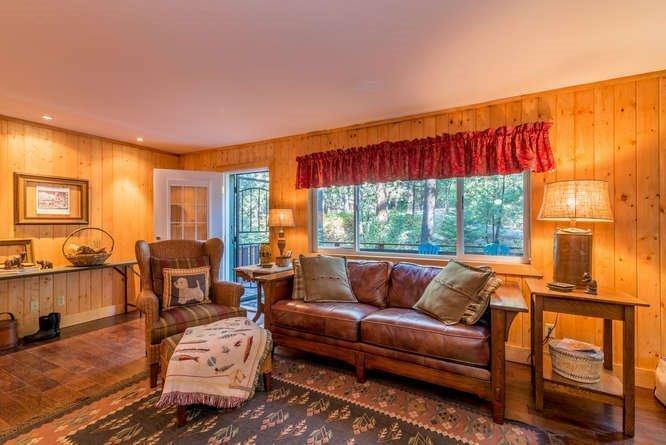 Cozy living room with huge picture window brings the outdoors in. Kitchen is spacious with tile countertops and a large breakfast bar. There is one bedroom and bath downstairs, along with two large bedrooms and a bath upstairs, providing sleeping for 6. The huge wrap around deck steps down to a path leading to the bridge over the creek and an awesome firepit - the ultimate setting for outdoor entertaining! A must see!